play groups are available based on individual needs, personality, temperament, play styles, etc. 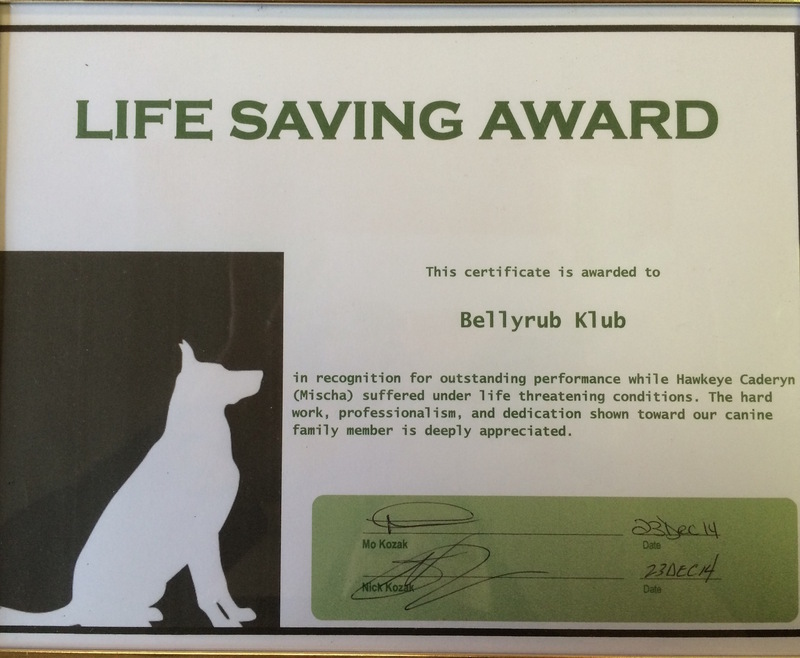 To ensure a safe, healthy place for everyone – human and canine – each dog must complete a “Meet & Greet” before attending Daycare or Overnight Care at the Bellyrub Klub. This is a brief social visit, by appointment only, so we can observe your dog’s behaviors,show you around and discuss his/her needs. We have an open play environment, so all our furry friends must be able get along with each other and have fun. Your canine gets the best care! Mischa, a 4 year old German Shepherd, was enjoying a typical day at the Klub when staff noticed he began acting strangely. Our experienced staff knew something wasn’t right and decided to take him to the vet. It turned out that Mischa was suffering from Bloat, a serious and potentially fatal condition that often goes undetected in canines! Mischa got the medical care he needed,and thanks to BRK’s staff, made a full recovery! Mischa’s parents were very grateful for the staff’s quick thinking and we were grateful we could assist Mischa!! We know all our customers’ canines are their furry four legged family members and thank them for putting their trust in us to take care of them! Mischa is now part of our Day Training Academy and doing awesome!! We all love Mischa so we were elated when he returned! !